Gold had done a short term trend reversal from the recent swing low of 1251. Trading Sentiment holds positive on both daily and weekly timeframe. Current surge towards 1280 reference brings a possibility of test towards the 1295-1300 band where gold got resisted twice in the same reference. 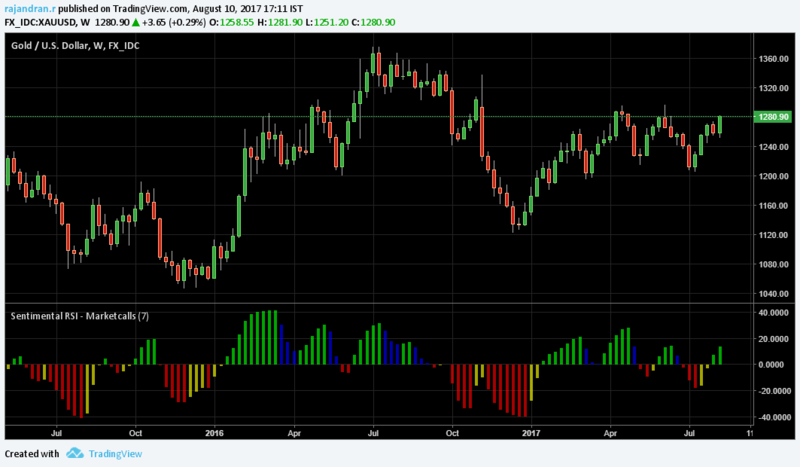 Gold is in sideways mode in the range of 1200-1300 range since March 2017. Monthly charts are looking compressed at this moment no long term trend is visible at this moment. 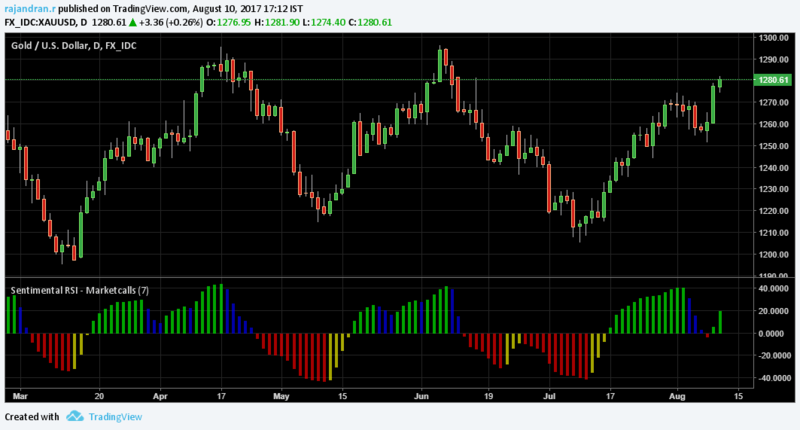 Breaking and sustaining above 1300 is more critical for gold targeting higher 1335 and 1380. Long bias hold in the medium term.